The importance of the temenos as a metaphor to conceptualize therapeutic containment is discussed. 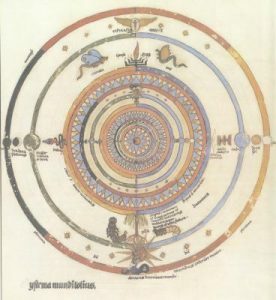 Jung drew the analogy between the consulting room and the temenos, at the center of the Greek Temple as a sacred and inviolate place where analysand might encounter the Self. Although Jung believed that whether called or not, the gods would appear, under certain conditions, patients may experience "temenos lost", the loss of the holding function of the analytic space. Two cases are presented in which temenos issues played a central role. In one case, an unorthodox method was used to preserve the analytic container during the absence of the analyst and in the other, the impact of an extra-analytical encounter had a dramatic effect on the holding function of the temenos. A discussion is presented of the appropriate circumstances in which analysts may deviate from traditional analytic practice in order to preserve the temenos and transform a "temenos lost" into a "temenos regained". Key words: analytical psychology, therapeutic space, temenos, holding function, holocaust, transference-countertransference, Self. The "temenos" is one of the important ways in which therapeutic containment is conceptualized in analytical psychology (Samuels, Shorter & Plaut 1991). Jung drew the analogy between the consulting room and the temenos, the 'holy of holies' at the center of the Greek Temple as a sacred and inviolate place. The etymology of Hebrew term for sanctification, kadesh, meaning 'to set aside' conveys the sense that something holy is set aside from everyday life. Likewise, Jung felt that the therapeutic temenos was to be set aside for a higher purpose. Just as the Temple was a place of meeting between the supplicant and the Divine, so too, the analytic temenos was a place where analysand might encounter the Self. In the Temple, the temenos was typically an empty space in which the Divine could make its Presence felt. In contrast, the therapeutic temenos is not empty but includes the analyst whose job it is to help purify the analysand and constellate the Self within the individuation process. The numinosity and danger of this encounter required that the temenos be a site of maximum containment. As analysts, we know that occasionally, the sacred containment of the temenos may be violated and lost. When the analyst is absent, the analysand may experience being cut off from both temenos and Self and so experience a condition which I have termed "temenos lost". In a previous article (Abramovitch 1997), I discussed a case of temenos lost, how, at the time of move, the therapeutic vessel may be damaged or even destroyed. I suggested that 'at the time of a move, a dialectic between 'therapeutic relationship' and 'therapeutic space' emerges. A move disrupts the therapeutic unity of 'person-place' and forces participants to confront how much the of the therapeutic process is dependent upon the transference to place and how much is to person only.' (Abramovitch 1977, p. 572) For certain individuals, the therapeutic space may provide a major source of containment. At the end of the article, I gave a brief account of how, Temenos Lost could be transformed into Temenos Regained. In this article, I present two contrasting cases in which temenos issues play a central role. The first case explores the impact on the temenos during the physical absence of the analyst; while the second deals with the impact of an extra-analytic encounter on the holding function of the temenos. For many patients, the absence of the analyst, whether over a weekend break, a holiday or a more extended period, may be a torment (Winnicott 1965; Ledermann 1979, 1991; Savitz 1986; Asper-Bruggisser 1987). Much of the discussion of how patients, especially borderlines, react with great difficulty to the absence in terms of maternal, mirroring or idealizing transference transference (Schwartz-Salant 1982, 1988; Jacoby 1991) or the use of selfobjects (Beebe 1988, 1993). The absence of the analyst re-evokes the painful absence of mother and the wounding within the primary relationship (Neumann 1958; Balint 1968). While acknowledging the potency of such explanations, I want to suggest that for some patients, there is an additional dimension in their ability to cope with the breaks in the analysis, the transference to the therapeutic space. Certain psychological types, such as extravert sensation types, as well as certain types of psychopathology (Sandner & Beebe 1984; Samuels 1989a) do appear predisposed to use the physical environment as psychological container. In rare cases, the therapeutic environment may function is a manner analogous to "home" providing a sense of absolute security and protection unafforded by any extra-therapeutic environment. I recall one patient, a puer, (Van Franz 1970, Abramovitch & Lange 1994) who lived a provisional life in provisional apartments, and fantasized about sleeping in the corner of my office, to be awakened only for sessions. For him, the therapeutic space was the closest he had to a "home". The absence from the analysis involves not only loosing the bond with the caring analyst/mother but also the loss of the temenos with its holding function. It is this 'double absence' of both the personal relationship and the therapeutic space would each contribute to make the absence unbearable. I want illustrate the complex dynamics of such a double absence by means of case of a woman I shall call "Ruth". It was, to begin with, a case I did not want to take. At the time, my practice was full and I was hoping to cut down by natural attrition of terminations. I received a phone call from an elderly colleague. She asked me to see "Ruth" as a personal favour, just for a consultation, in order to refer her on, for appropriate help. Ruth had recently visited my colleague's husband, who had been her teacher many years ago and with whom she had remained in contact. Her only daughter had been killed in a traffic accident and she was in despair. My colleague and her husband were worried about her. "Would I see her?" she asked, Reluctantly, I agreed. Occasionally, I do such "matchmaking" sessions. These sessions consist of meeting a patient, once or twice, to get a sense of their problem and then referring them to whom I sense would be the 'right analyst' for them. In Ruth's case, I was afraid that I would be dealing with an acutely suicidal patient, never a simple referral. In this regard, I have often thought of what Martin Buber writes in his poignant book of 'autobiographical fragments', Meetings : "What do we expect when we are in despair and yet go to a man? Surely a presence by means of which we are told that nevertheless there is meaning." (Buber 1973, p. 46). What presence could I offer, I wondered. Most cultures place a great premium on the importance of children as the main means of 'symbolic immortality' (Lifton 1979). In Israel, we often speak about the 'Chinese Blessing' (altering the usual masculine gender): "Grandmother dies, mother dies, daughter dies." To which one is expected to ask: "And that is a blessing?" and to which the answer comes, "Of course, it is a blessing, if death comes in that order." For Jews, the psychological importance of children for mothers is paramount who like Rachel, may say, "Give me children, or I shall die." (Genesis 30:1; JPS Translation 1988). In the extreme, a mother's life is devoted entirely to her children, often in an overbearing, guilt inducing manner. The loss of an only child, entailing the loss of the role of mother and the ability to feed and nurture, evokes a fate too heavy to bear as well as 'end of world' fantasies. The woman who arrived, however, was not what I expected. She was a heavyset woman in his early seventies and sat down tentatively. She spoke of going to a psychiatrist who, after a few sessions, had declared her case 'hopeless'. She said she was not suicidal and even had at times, a 'joie de vivre' e.g. when she was photographing, looking after her many pets or wounded strays. She had until recently volunteered at a local zoo and her dream would have been to run a shelter for wounded animals. She spoke openly about the death of her daughter, although all the details emerged only much later. What had happened was this: Her daughter had been travelling on her motorcycle with her fianc? to visit his mother for her birthday. At an intersection along the highway, her scarf blew off and as she wheeled back to retrieve it, she was killed instantly by an oncoming semi-trailer. The fianc? emerged unscathed and had arrived at her doorstep to tell her the bitter news. The police had taken the trouble to inform Ruth that the accident was entirely her daughter's fault. Ruth also told how she had suffered from a terrible anticipatory separation anxiety: "All my life", she said, "I had been afraid that I would lose her. Even when she was small, whenever she would let go of my hand, I was terrified I would never see her again. Now, what I had feared most, has happened…" In the counter-transference, I sensed Ruth as akin to Lot's wife (Gen 19), her psyche 'frozen in the process of looking back at the trauma scene' (Abramovitch 1994, p.105). The sudden death of her daughter, however, was not an isolated tragedy, but only the most recent in a series of awesome losses. Ruth was born in Germany but her family moved elsewhere in Central Europe when she was a child, to escape the Nazis. From there, she and an elder brother, were sent to a residential school in Palestine on one of the last transport out before WWII. Her mother and younger brother, who remained behind, died at Auschwitz. Her father, who survived the war and remarried, refused to give her a loan of money when she was in desperate financial straits. He explained his refusal by saying that she was not his biological child at all, but the fruit of an adulterous union of her mother. She should expect nothing further from him. Two boyfriends and many classmates were killed in what the Israelis call their "War of Independence" in 1947-8. Her older brother, who had survived that war and joined a kibbutz, died in a work-related accident. Her first husband died from complications of a degenerative neurological disorder. Her second husband, the father of her only daughter, had divorced her and returned to his native country, where, he too, had remarried. In effect, she was 'a person without living relatives'. In Hebrew there is a special term for such a person, galmuda (feminine), galmud (masculine) who is 'alone and abandoned' (cf. Isaiah 59:21). In a culture that places such emphasis on 'affirmation of affinity' (Bowker 1991) to be a galmuda is considered the most tragic of fates. I often feel that what protects us from the psychic infection from horrifying narratives of our patients, is that we have heard worse. Here was a case, in which I had not heard worse. Ruth was someone who had lost her family, not once, or even twice, but many times over. I could see how she appreciated being listened, having someone focus clearly and entirely on her and her feelings. Because I had been expecting someone acutely suicidal, I was greatly relieved. There was a bond between us, a kind of participation mystique, that included a sense that I had been "chosen" to be her therapist and could not refer her to someone else. I agreed to take her on as a patient. She began coming once a week and afterwards, at my suggestion, agreed to come twice a week. Initially, the work did not focus on her daughter at all, but on another teacher at the residential school, who had gone on to become a well known writer. Recently, this man had written a book of reminiscences about the school and sent her an inscribed copy. She, however, was devastated to discover that she was mentioned only once in passing, in brackets, as someone mysterious, unknown, the author wondering only how was she called back in her native country. She raged at this narcissistic injury and the loss of mirroring by all important mentor-father figure, feeling unheld in the paternal reverie (Samuels 1989b, 1993). A second phase focused on her difficult relationship with her mother, with whom she never felt understood. This phase was within a typical 'complex-discharging field' (Goodheart 1981) discovering late in life her own emotional deprivation and sense of injustice at her mother's preference for boys. Working through this rage, she felt sadness that things could never be resolved with mother. In the summer following this period, she traveled back to Europe to visit both her childhood homes. In one, she was invited to enter and visit with the current occupants; in the other she was rudely turned away at the door. I was reminded of the archetypal pattern of homecoming (Abramovitch 1993), so well described in the Odyssey: coming home only to find it occupied by strangers – an experience common to many holocaust survivors (Vardi 1993). She even considered making the pilgrimage to Auschwitz but at that point felt she did not have the physical or emotional strength to enter into that 'valley of death'. After her return, the sessions focused intensely on her daughter. She told how she herself had driven a motorbike and therefore could not forbid her daughter to do likewise. She reviewed their life together in depth and she felt that I truly came to know her. The daughter had been a passionate horsewoman and Ruth had even set up a memorial competition in her honour. As time went one, these events became increasingly difficult for her. The anniversary of her death, her birthday, became torments for her; the fianc? called less and less often, married and had a child. Once again, she felt abandoned. As she began to mourn her daughter in earnest, she also decided to volunteer at a hospice for the dying. It was as if she was trying to symbolically to help others to mourn, so that she herself went through the process of grieving. (Mogenson 1990, 1992) Whereas I normally settle up accounts at the end of the month, she insisted on paying cash after each session. She wanted to feel under no obligation, or dependency, which she experienced as a dis-empowering humiliation. Old friends calling with clumsy offers of sympathy or friendship, were dismissed with a counter-dependent hostility, like a tetchy baby who rails at mother when she does not get the feed just right (Fairbairn 1981; Ledermann 1979). Much of her emotional stimulation came instead from watching television, especially nature documentaries connecting with a compensatory Great Mother (Neumann 1956). Like many patients with narcissistic injuries, she yearned for warmth and acceptance, which she experienced more often with animals than with humans. She had been an attractive woman in her youth and appropriate to later half of life, she painfully mourned her youth, her good looks, and the possibility of romance. Her work took her all over Europe where she had many romantic interludes. When her daughter was conceived, she left Foreign Service and retrained as a music and drama teacher. In our sessions, She was often afraid that she was "too much" for me, that I 'wouldn't be able to stand her any longer' that I too would abandon her, as had happened so often in the past. She was also the only client, I have ever had, who periodically suggested raising my fee. I understood her concern for my fee as a way of making sure that I would not resent her as her mother and father had. Trust did develop slowly and a certain intimacy so much that she would say of the sessions, 'this is my island of sanity'. I sensed how for Ruth her sessions were often her only intimate human contact during the week. We developed a farewell ritual. She had lived and worked in France and we would say our parting words in French, "a la prochaine" in a shared evocation of French civilization. The farewell in French (our sessions were in Hebrew) symbolically hinted that partings are in another language, in a different musical key. The answer to the perennial anxiety, "Will there be a next time?" required a response beyond the usual confines of language. (Abramovitch 1986). All this background is prologue to what I want to discuss. For personal and professional reasons, I planned to take a sabbatical of three months outside of Israel and away from my practice. For over a year prior to my planned departure, I had refused to accept new patients. A number of long term patients were able to work successfully toward termination around the time of my leaving. Others were given referrals. I was trying to be responsible. Of all my patients, Ruth was the one about whom I was most concerned. I felt that my leaving would be extremely wounding, even undoing all the hard work we had done together, reawakening abandonment anxieties. What would happen to her without her 'island of sanity'? When I told her of my plans, she reacted immediately with the fear that I, too, would never return. Even before I might suggest it, she announced definitively that she would not even consider a referral. When she digested the fact of my leaving, she turned to me and asked: "Do you care about me?" and then went on, "Then how can you go!" Around this time, I was discussing the issues raised by my sabbatical with my analyst group. I shared my concern for Ruth and learned how a fellow analyst, herself a child survivor of the holocaust, had dealt with a fragile patient, another child survivor. The analyst, during her absence, had allowed and provided for the patient to continue to visit the therapeutic space during her absence. I was struck by the boldness of this suggestion. Ruth, herself, had expressed concern for what would happen to my plants in my absence. For Ruth, as for the analysand in my previous paper, about to move her own home, 'the plant in my office was a transitional object for her own sense of security at the time of her 'dangerous' move.' (Abramovitch 1997, p.583). The next time Ruth spoke of the plants, she offered to look after them in my absence and bolstered by my colleague's experience, I accepted her offer. Before I left, I gave her a key to my office on the understanding that she would water the plants and be able to come to visit the therapeutic space whenever she wished. I left. She came, watered the plants and used the therapeutic space in the way many believers can use an empty church, as a place for quiet solitude and meditation in a sanctified place. (Storr 1988; Wieland-Burston 1996). When I returned, she expressed her gratitude that I had trusted her to come and look after the plants. She said how it had helped her through the painfully long absence. She returned the key on the second session having "forgot" it on the first session following my return. Her ability to keep my plants alive during my absence allowed both of us to experience the transformation of the threat of a temenos lost into a 'temenos regained'. As analysts, we treat many different kinds of patients. For some patients, like 'Ruth the galmuda', therapy becomes more than a temenos or sacred space; it becomes a "home", a place of protection, of primary security. During my absence, Ruth served as a priestess, symbolic keeper of the flame, nurturing the living plant, enacting the symbolic victory of eros over thanatos. In a symbolic way, I think I tried to give Ruth the galmuda a sense that she was part of a virtual family, where she always had a place. From a developmental perspective, we might conceptualize her unconscious use of the therapeutic space as a positive regression into the mother's body during pregnancy. The womb of the Great Mother is after all our first temenos. There we may feel wholly contained and yet in the presence of some unseen nurturing Other. Coming to my office, therefore, allowed her to experience holding in a maternal reverie. In this way, Ruth could have access to the Self even in my physical absence. Subsequently, whenever Ruth sensed that I might leave again, she experienced acute anxiety of 'temenos lost'. Gradually, she came to feel a restored and reliable sense of temenos regained. Clearly I am not advocating giving keys of one's clinic to one's patients. Indeed, I do believe that for the very vast majority of patients it would be seriously inappropriate and even dangerously damaging to the therapeutic process. This one exception, however, does highlight how the therapeutic space itself may provide containment during the absence of the analyst. The patients who find the absence of the analyst a torment are also likely to have great difficulty in dealing with an extra-therapeutic encounter. Chance encounters, nevertheless, may occur even with the most cautious of precautions. Their impact on the analysis appears to be difficult to predict. Typically, they are seen as dangerously disruptive particularly because they occur away from the safety of the temenos and may have unpredictable and often unanalyable effects on the transference. At other times, such events may help to clarify and strengthen the temenos. I want to relate a second vignette about how a chance encounter helped strengthen a functioning therapeutic container, to a higher level of psychic security. The man I call "Samuel" was very different from Ruth. Like his Biblical namesake, he 'grew in esteem and favor both with God an men' (I Samuel 2:26, JPS 1988 translation). Then a mid-life crisis came crashing down on him, which left him 'on his knees' (Sharp 1988; Stein 1983; Hollis 1993). He, suddenly, found himself without a job, in the midst of a severe marital discord which left him depressed and suicidal. His background included an overbearing and judgmental father and a mother whose main focus of caring had gone to a special needs sibling. During treatment, his depression lifted and he gradually returned to high level functioning. His external improvement brought his inner problems more into focus. Despite all his apparent success, he had a profound sense of being unworthy, a tendency to self-blame, and even, a masochistic yearning to be punished. His personal history seemed insufficient to explain the depth of his psychopathology (Samuels 1989; Sandner & Beebe 1984) although it seemed linked to the judgmental Father. (Samuels 1989, 1993; Abramovitch 1994, 1997). Intuitively, I felt that something was missing. I may even have expressed my sense that some crucial material was missing and actually was thinking more in "Freudian" terms of a repressed trauma. Around this time, we both found ourselves at the opening of Art Exhibition. I greeted him and then quietly left. At the next session, I explained that what had guided my behavior at the public gathering. It was a desire to do everything to protect the temenos and do nothing to endanger our work together. I could see that he was moved by what I had said and by the fact that I was doing something against my personal interest for the benefit of our work together. At the next session, he told me what he had withheld and therefore what had been missing. It was not a repressed memory, but an experience which haunted him for years, especially on Yom Kippur, the Day of Atonement, when Jews traditionally confront their sins. He said that on many previous occasions he had yearned to tell me but never found the right moment. And then he told me…. As a very young adolescent, he had been home sick alone with the live-in help. She had accosted him sexually and then insisted that he periodically come and have sexual relations with her in the house, when all were asleep. She had used him as a tool for her sexual satisfaction with an implied threat of terrible consequences should he elect to tell anyone about their intimacies. Because he was not physically forced to participate, he judged himself a willing partner in the illicit affair. In fantasy, he experienced his Father's uncompromising accusation, punishment and life sentence: "You went willingly and so are guilty!" At other times, he felt they must have known. "Their door was locked but I walked right by it" or shocked at their lack of involvement, "How could they not have known." The nighttime encounter continued during the period of his bar mitzvah, the Hebrew ritual into manhood at 13 years of age. Outwardly all went well, but inwardly he felt like a tormented imposter, a "sham". He was plagued by a kin of imposter anxiety "If only they knew…" a theme which appeared both in conscious life as well as in his dreams. Because the abuse took place at home, while his parents slept, he not only lost his innocence but the sense of ever being able to be "at home" (Hill 1996). He could no longer be at home, as the Chinese ideogram indicates, to wallow happily in the dirt and mud as 'a pig wallowing in its own sty' (Dykstra 1977, p.27). Instead, he developed a likeable fa?ade, which acted as a persona barrier so that no one could see what he was really like beyond his mask, deep inside. When I called him a victim of sexual abuse, he flinched saying how can I be a victim if I went willingly. Samuel had often spoke of how difficult it was for him to experience the caring of others. My action at the public gathering and explanation that I was sacrificing my self-interest in acting to safeguard the temenos allowed him to experience my caring in a new way. My action redefined the consulting room as sacred and inviolate. In a synchronistic way, I had to meet Samuel outside the temenos in order to be able to meet him more fully inside it. Marking the sacredness of the boundary allowed Samuel to move away from a schizoid-paranoid position toward a growing sense of mutuality and trust. Within that sacred space, he could for the first time make his confession and eventually experience some form of forgiveness, which he had denied himself every Day of Atonement. The details of the treatment of the sexual abuse in males are worthy of further investigation but are beyond the scope of this paper. (Finkelhorn & Russell 1984; Kritsberg 1993; Kalched 1996). I want to emphasize that prior to the revelation of the sexual abuse, the treatment was proceeding successfully and the temenos was strong enough to contain his suicidal depression, marital crisis and mid-life crisis. Only the chance encounter retrospectively revealed how inadequate the containment had been. At the encounter, I may have felt Samuel's unconscious need for a protective paternal presence, ever on the look out for potential dangers. In the next session, Samuel experienced a new kind of psychic protection associated with this protective paternal presence which in turn allowed him to share his shameful story Chance encounters can and do occur. I have described a case where the outcome was most positive but there are other occasions where their impact can be equally negative. As I understand it, extra-therapeutic encounters that reinforce the containment and holding function of the therapeutic space, strengthen the temenos. This was the case for Samuel. In other cases, extra-therapeutic meeting, because of assortment of factors (their unique emotional atmosphere, associated fantasies, timing, inability to discuss such eventualities before or after they occur) may serve in extreme cases to annihilate the temenos, triggering basic anxieties of homelessness, going to pieces or schizoid-paranoid position. In other cases, the blurring of boundaries may sometimes serve to clarify and reinforce the temenos and at other times, to undermine and crack the therapeutic vessel which is no more 'well closed'. A dramatic text can be seen in one of two ways. It can be analyzed in various ways to obtain a better understanding of its meaning or to illustrate contemporary theories of literary analysis. Alternatively, the same text can be considered in terms of its dramatic impact, how the lines might be acted on stage as part of dramatic presentation. The former deals the hermeneutics or interpretative aspects of the text, while the later deals with its pragmatic or performance aspects. Analysis too can be understood as similar to a dramatic text. Most of our written discussions of our work as analysts are concerned with the theoretical formulation of analytic dynamics, in what may be called the 'hermeneutics of analysis'. The focus is on the interpretation and understanding in depth of the analytic process. Rather less attention has been paid to the dramatic aspects of what we actually do in analysis, that is, the 'performance of analysis'. Temenos issues, although drawing on hermeneutics, highlight the performance aspects of analysis. The hermeneutic aspect of "temenos lost" is concerned to understand why the analytical containment has been lost. The performance aspect deals with how the analyst actually reacts to loss of the temenos in order to regain the boundaries of the sacred space. In the case of Ruth, I believe I had a good understanding of why the temenos was so threatened but felt I could not rely on established technique e.g. interpreting the transference as abandonment anxiety. Within the performance of the analysis, I felt I did not know what to do and was forced to improvise. A therapist whose mind is closed to new discoveries and developments in theory and practice will miss valuable opportunities to increase his or her therapeutic effectiveness. Daniel Stern has vividly described how crucial this openmindedness is clinically; he has identified unpredicted 'moments of truth' which suddenly arise in a session, moments which are laden with emotional significance and potential importance for the immediate or long-term future, a 'kairos' moment which must be seized or lost. Stern says that in one of these 'now' moments, the patient and therapist are surprised and taken off guard by its unpredictability. Both may defend against anxiety this creates by resorting to established technique. Stern says 'if the therapist "knows" what to do, he has probably missed the "now" moment. (Stern 1998; Stern et al. 1998). Owen Renik (2000) presents an example of such openmindness in recent collection of autobiographcal accounts by psychotherapists of critical events in their professional development. (Shay & Wheelis 2000). He describes a case of a woman in her 30's who complained that she felt as if she was falling down a well and couldn't do anything about it. She refused to elaborate, eventually saying to his request that she free associate: "Why on earth would I want to do that? " (Renik 2000 p.328). Renik describes how he was forced to use many procedures greatly at variance with his standard practice to keep the therapy viable. For example, he committed himself to never ending the therapy, however much he despaired of the process. He radically altered his cancellation policy. Two more episodes are worthy of detailed attention: One day, after we had been working together about two years, she came in and announced, "I can't see you." I asked her what she meant (we met vis a vis), but she replied only, "I can't see you when you're looking at me." Expectably further analysis proved impossible. "What do you think we should do?" I asked eventually. "Well," she said, "I think you should face away from me so I can see you." "Sorry," I replied, "I'm not willing to do that." "Why not?" she asked. "Because I don't like working with people when I can't see them," I explained. "How do you think I feel?" she responded. I told her I was sure she didn't like it either. Later, the patient felt she could not speak directly to Renik of her experience of him as rejecting. "She wouldn't talk to me about myself because she believed I was unable to listen, but she didn't want to give me up." (Renik 2000 p. 333). To resolve this impasse, Renik ultimately suggested that she see a second therapist to discuss what was going on with him. The patient thought this was a good idea and met the other therapist once a week while continuing with him three times a week. Renik was challenged to play a role as an analyst very different from that in which he had been trained and come to expect. He had to radically alter the usual structure of analytic containment, in order to preserve it. He was forced to include an extra-analytic space and relationship in order to maintain a functioning therapeutic relationship. The analysis contradicted everything he had come to expect from the performance of analysis and yet, had 'an excellent outcome…obtained through procedures so at variance with standard ones…' (Renik 2000, p.333). Stern seems to suggest that "now" moments require a deviation from established practice in order to be authentic to the demands of the moment. The question can now be asked: Under what conditions should the analyst deviate from standard practice? When in the performance of analysis, may we deviate from our usual roles? My experience suggests a few preliminary rules of thumb although each case must be understood on its own merits. First, unorthodox procedures may be called upon when the analytical containment of the temenos itself is in danger. If there is no temenos, there will be no therapy. Preserving and securing the temenos are goals that may call for radical solutions. Second, it is not enough to act in such a way to preserve the integrity of the temenos and do nothing to endanger it. In addition, one must try to symbolically communicate the sense of that maxim to the patient. Disturbed patients often misunderstand the need for the analytic frame and interpret the necessary need for boundaries as rejecting, self-serving or in terms of a power counter-transference. Despite our avowed desire to talk about everything in analysis, the frame of analysis is often presented in a 'take it or leave' fashion. Yet often we cannot discuss frame issues adequately until there is some sort of containment. Sometimes, as in the case of Samuel or Renik's patient, one must symbolically exit from the temenos in order to allow the patient to enter it more fully. For others, like Ruth, one must seek ways of allowing patients to deeply experience the heart of the analytic space. Finally, if the analyst is going to do something unorthodox, then it is wise to discuss the proposal with colleagues. A wise friend should be able to guide the analyst in clarifying whether the specific action is not an unhealthy collusion or acting out behavior. Ideally, this should be done prior to the unorthodox action. However, the demands of the "now" moment do not always allow for prior discussion. Occasionally, we must act intuitively in the here-and-now and let our understanding follow. In such circumstances, the analyst should overcome his fear of shame and inferiority and discuss his unusual actions with colleagues shortly afterwards. The two cases described in this article each included "now" moments. In Samuel's case, I responded in an orthodox fashion to an extra-analytic meeting and the synchronous strengthening of the temenos allowed for a "moment of truth" to unfold. In Ruth's case, I clearly did not "know" what to do. I did a number of things that were most unusual. I believe that had I not had the support and example of colleagues, I probably would not have done something so unconventional. Indeed, had I heard about similar actions from a colleague, I suspect I would have been highly skeptical, even concerned about their mental health. Sometimes healers must make drastic steps in order to make contact with insulated or damaged psyches. In such cases, the actions of the healer may look distinctly odd or even 'crazy' to an outsider who cannot follow the inner logic of the healing process. Nevertheless, if we know that we are truly acting in service of the temenos, then these unusual actions may further the process of healing. Abramovitch, H. (1986). 'There are no words: two Greek-Jewish suvivors of Auschwitz' Psychoanalytical Psychology, 3, 201-216. Abramovitch, H. (1993) 'Turning inside out: disguise as a prelude to homecoming' in The Transcedent Function: Proceedings of the IX th International Congress of Analytical Psychology, Chicago 1992. (ed. M. Mattoon). Einsiedeln: Daimon Verlag. Abramovitch, H. (1994). The First Father. Abraham: Psychology and Culture of a Spiritual Revolutionary. Lanham, Maryland: University Press of America. Abramovitch, H. (1995). 'Ethics: a Jewish perspective' in Cast the First Stone: The Ethics of Analytical Therapy (eds. L. Ross & M. Roy) Boston: Shambhala. pp. 31-6. Abramovitch, H. (1997a). 'Temenos lost: reflections on moving' Journal of Analytical Psychology, 42, 569-584. Abramovitch, H. (1997b). 'Images of the "Father" in psychology and religion' in The Role of the Father in Child Development 3rd edition. (ed. Michael Lamb). New York: John Wiley & Sons. Ch. 2, pp. 19-32. Abramovitch H. & Lange T. (1994). 'Dreaming about my patient: a case illustration of therapist's initial dream' Dreaming, 4, 105-113. Asper-Bruggisser, K. (1987). "Shadow aspects of narcissistic disorders and their therapeutic treatment.' Journal of Analytical Psychology, 32, 2. Balint, M. (1968). The Basic Fault. London: Tavistock. Beebe, J. (1988). 'Selfobjects in the treatment of the borderline patient' in The Borderline Personality in Analysis (eds. N. Schwartz-Salant & M. Stein) Wilmette, Il. : Chiron Publications. Beebe, J. (1993). 'Comment to Issue on Borderline Patients.' Journal of Analytical Psychology, 38, 101-3. Bowker, J. (1991). The Meanings of Death. Cambridge: Cambridge University Press. Buber, M. (1973). Meetings. Indiana: Open Court Press. Dykstra, A. (1977). The Kanji ABC. Los Altos, CA. : William Kaufmann. Fairbairn, R. (1981). Psychoanalytic Studies of Personality. London: RKP. Finkelhorn, D. & Russell, D. (1984). 'Woman as perpetrators in child sexual abuse: new theory and research.' In Child Sexual Abuse (ed. D. Finkelhorn). New York: free Press. pp. 171-185. Goodheart, W. (1981). 'Theory of Analytic Interaction' San Franscisco Jung Institute Library Journal, 1, 2-39. Hill, John. (1996). 'At home in the world.' Journal of Analytical Psychology, 41, 575-98. Hollis, J. (1993). The Middle Passage: From Misery to Meaning in Midlife. Toronto: Inner City Books. Jacoby, M. (1991). Individuation and Narcissism: The Psychology of Self in Jung and Kohut. London: Routledge. Kalched, D. (1996). The Inner World of Trauma: Archetypal Defences of the Personal Spirit. London: Routledge. Knox, Jean (2001). 'Memories, fantasies, archetypes: an exploration of some connections between cognitive science and analytical psychology' Journal of Analytical Psychology, 46, 613-635. Kritsberg, W. (1993). The Invisible Wound: A New Approach to Healing Childhood Sexual Trauma. New York: Bantam Books. Ledermann, R. (1979). 'The infantile roots of narcissistic personality disorder.' Journal of Analytical Psychology, 24, 2 Ledermann, R. (1991). 'Regression and stagnation.' Journal of Analytical Psychology, 36, 483-504. Lifton, R.J. (1979). The Broken Connection. New York: Simon & Schuster. Mogenson, G. (1990). 'The resurrection of the dead: a Jungian approach to the mourning process.' Journal of Analytical Psychology, 35, 317-334. Mogenson, G. (1992). Greeting the angels: An Imaginal View of the Mourning Process. Amityville, New York: Baywood Publishing. Renik, Owen (2000). 'Personal and Professional Life.' in Shay, Joseph J. & Wheelis, Joan (Eds.) Odysseys in Psychotherapy. New York: Ardent Media. Chapter 14, pp. 312-336. Samuels, A. (1989a). Psychopathology: Contemporary Jungian Perspectives. London: Routledge. Samuels, A. (1989b). The Plural Psyche: Personality, Morality and the Father. London: Routledge. Samuels, A., Shorter B. & Plaut F. (1991). A Critical Dictionary of Analytical Psychology. London & New York: Routledge. Sandner, D.F. & Beebe, J. (1984). 'Psychopathology and analysis' in Jungian Analysis (ed. M.Stein). Boulder & London: New Science Library, Shambhala. Ch 16, pp. 294-333. Savitz, C. (1986). 'Healing and wounding: the collision of the sacred and the profane in narcissism.' Journal of Analytical Psychology, 31, 1. Schwartz-Salant, N. (1988). The Borderline Personality. Wilmette, Il. : Chiron Publications. Sharp, D. (1988). The Survival Papers: Anatomy of a Midlife Crisis. Stein, M. (1983). In Mid-Life: A Jungian Perspective. Dallas: Spring Publications. Stern, D. (1998). 'The process of therapeutic change involving implicit knowledge: some implications of developmental observations for adult psychotherapy'. Infant Mental Health Journal, 19, 3, 300-308. Stern, D., Sander L.W., Nahum, J., Harrison A.M., Lyons-Ruth, K., Morgan, A., Bruschweiler-Stern, N. & Tronick, E. (1998). 'Non-interpretative mechanisms in psychoanalytic therapy: the "something more" than interpretation'. International journal of Psychoanalysis, 79,5,9, 303-36. Storr, A. (1988). On Solitude: A Return to the Self. New York: Ballantine Books. Van Franz, M-L. (1970). Puer Aeternus: A Psychological Study of the Adult Struggle with the Paradise of Childhood. Santa Monica, Ca. : Sigo Press. Wardi, D. (1993). Memorial Candles. New York: Schocken.v Wieland-Burston, J. (1996). Contemporary Solitude. London & New York: Tavistock/Routledge. Winnicott,D.W. (1965). 'The capacity to be alone.' in The Maturational Process and the Facilitating Environment. New York: International University Press.